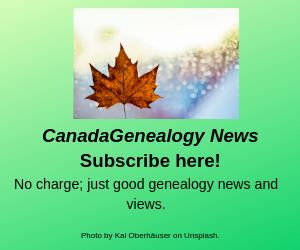 Most years, I've published my own list of essential links for Canadian national Genealogy – these will be specially useful for those new to Canadian research but these are websites useful to me every day. I have decided to update this list by adding the most useful books too as I feel the best published guides (and indexes) are too often overlooked. From time to time, I'll include more special topic links. Borders have changed a bit. Canada didn't become officially Canada till 1867 and that Canada didn't include British Columbia, Alberta, Saskatchewan, Manitoba or Newfoundland and Labrador. These were then either British colonies or for most of the prairies and part of Ontario, lands controlled by the Hudson's Bay Co. See the Canadian Geographic's historical Maps of Canada for a look at 1867 Canada. You will find that there are many British records relating to Canada and parts of it. Most of those with genealogical information have been copied and are available at least on film in Canadian archives or other large repositories. But, for example, if you are looking for a World War I pilot, you may need to look at both Canadian and British records. For information specific to British Columbia, Canada, be sure to see the British Columbia section of the FamilySearch Wiki as there are good records there: https://www.familysearch.org/wiki/en/British_Columbia,_Canada_Genealogy You will see below that I've included here some guides I've written for Canadian research available on the BC Genealogical Society website. Watch for more of these to be added here in 2019. Penny Allen also has an article "Finding Your Ancestors in B.C.". As I often say, each of these resources is tried and true, although one or two may sometimes be trying. If it's been a while since you've looked at Canada, you'll notice some changes, especially at Library and Archives Canada. Most changes there are cosmetic, persevere, and you will find new resources there. Many Canadian genealogy and history websites will be available in both French and English. Notice that almost all are free! Let’s do our best to keep it that way. LIBRARY – two catalogue searches - AURORA for published materials held at Library and Archives Canada and VOILÁ for those at over 1300 libraries across Canada. Note - Now you can comment on LAC’s services. Do you love what’s available on-line at the site or on Flickr maybe? Is there another set of records you think should be digitized? Or is something missing that used to be easily accessible? Let them know. GENEALOGICAL RESEARCH LIBRARY (GRL), Now the GLOBAL RESEARCH LIBRARY. ANCESTRY.COM / ANCESTRY.CA / ANCESTRY LIBRARY EDITION. Even when information is free elsewhere, Ancestry is worth looking at as its searches are often more extensive and flexible than others and the family trees may provide useful clues. And because Library and Archives Canada has chosen to enter into certain exclusive agreements with Ancestry, you may find there indexes and images unavailable elsewhere. Canadian census indexes with links to record images at LAC - 1851/52, 1901, 1911, also immigration and passenger list indexes, prairie census 1906/1916, 20th century directories, Canadian soldiers, nurses and chaplains of World War I, indexes of Loyalist claimants and 1812 soldiers, etc. An important source of more recent information on Canadians is the Canada, Voters index (1935-1980). The most interesting content for many will be in the digital books from the ArchiveCD Books Canada collection - all searchable. Don't forget to check PERSI, the Periodical Source Index, for genealogy articles on Canada and articles in Canadian genealogy journals (like The British Columbia Genealogist). FindMyPast has the most up to date PERSI version. $ subscription or use FindMyPast at a participating library or Family History Centre. See below. NOTE Re free Access to Ancestry and FindMyPast- In the Lower Mainland of B.C., go to Cloverdale Library in Surrey, or to the New Westminster, West Vancouver or Vancouver libraries for free Ancestry Library Edition access or go to a Family History Center in Abbotsford, Surrey or Burnaby for both Ancestry and FindMyPast. Cloverdale Library in Surrey offers FindMyPast too. See FamilySearch above for Center locations. And, did you know that CLOVERDALE LIBRARY in Surrey, B.C. is the best place in the west for on-site Canadian genealogy research? You will find much helpful information and advice in the library’s “Canadian Genealogical Resources: A Guide to the Materials held at Cloverdale Library” or at an orientation session. OLIVE TREE GENEALOGY, Lorine McGinnis Schultz. Over 1900 pages of free information, guides and indexes –many of these are for Canada. CANADIANA.ORG. Many Canadian sources here are now free. Previously Canadiana had an exclusive agreement with Library and Archives Canada but has now chosen to open these records to all. 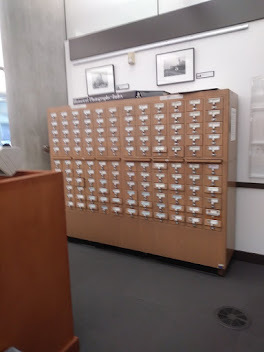 Note that many of the records they offer are available on microfilm or microfiche elsewhere. And last, but never least, although some of the site is still 'in transition'. Finding Your Ancestors: A Beginners' Guide by Sherry Irvine and Dave Obee (2007). Counting Canada: A Genealogical Guide to the Canadian Census by Dave Obee (2012). Destination Canada: A Guide to 20th Century Immigration Records by Dave Obee (2010) - on passenger/immigration records. Canadians at War 1914-1919, A Research Guide to World War One Service Records by Glenn Wright (2010). Records of The Federal Department Of Indian Affairs At The National Archives Of Canada by Bill Russell (2005). Genealogy to Go! Migration Canada and the United States (2012) by Elizabeth LaPointe. SPECIAL TOPICS below - Canadian Home Children, Royal Visits to Canada, Western Canada - Land. CANADIAN ‘HOME CHILDREN’ – From 1869 to 1948, thousands and thousands of children were sent to live and usually, to work, in Canada from Britain. A few beginning links to information and indexes for Western Canadian land grants, homesteading and CPR land sales. 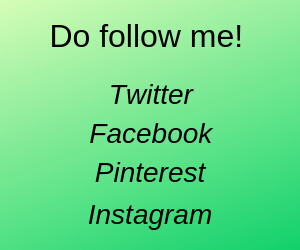 **See also the Alberta, Manitoba and Saskatchewan and British Columbia Genealogical Societies's websites. See also Back to the Land: A Genealogical Guide to Finding Farms on the Canadian Prairies by Dave Obee (2001). Great list of resources for seeking out Canadian ancestors. Thanks for compiling it! And Jane was my aunt (Melissa Jane Moore, known as Jane, 1870-1950 born in Economy Point, Nova Scotia). Thank you for all of the wonderful resource listings. Really appreciate them !